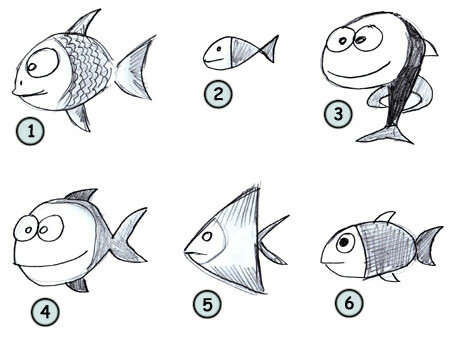 Before learning how to draw a fish: some fun facts before starting sketching! Fishes are the most popular pet in America. Even more popular than cats and dogs! Most of the species don't have a sense of smell. Well cared goldfish can live up to twenty years. 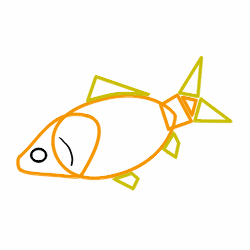 In this tutorial, you will learn how to draw a cartoon fish. They have big round eyes (1), a spiny ray (2), a caudal fin and many other fins (4)(5) along the body. These animals can come in a wide variety of shapes and colors. 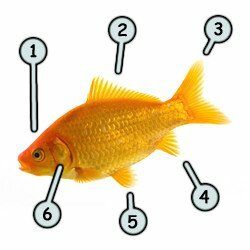 You can see a goldfish on the image on your left. Nearly 20 000 different fish species can be found in the sea. Our goldfish is made of a big oval for the body, triangles for the fins and a circle for the eye. Notice how the eye is very close to the mouth. The head is made of a smooth triangle. You can see that the mouth is visible at the end of the head. 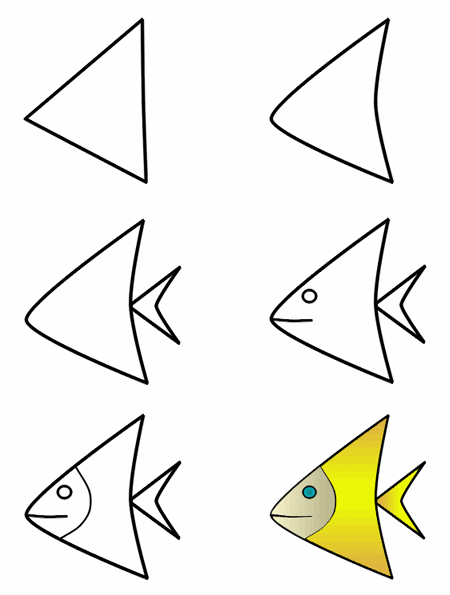 You can practice by drawing a simple fish (2) (6), a funny fish (3) or a more realistic one (5). Don't hesitate to try different textures and colors. Have fun!